During each of the 12 solar holidays, special energy pours on Earth that carries the quality of certain rays, comes power which is capable to perform certain stages of the Divine Plan. So what is the force descends to Earth during zodiacal sign of Leo? 12 Solar Celebrations. During that time a special energy is coming to earth. This energy is carrying the qualities of certain rays, also it has a special force which allows to fulfill certain steps of Gods plan. 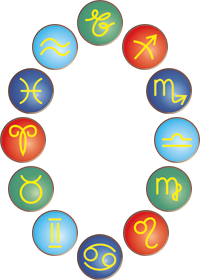 So what kind of energy does zodiac sign Cancer have? This meditation heals, develops intuition, protects and guides, helps to make the right choices. What might be a new unified world religion? From each school will take the best of humanity, and the worst — wrongly, idle and pulling back — it will throw. After all, every religion is "the remnants of the old, and in every school, even the best, along with the truth there are errors. I sincerely hope and believe that humankind, through reflection, observation, creativity and practical activities, will be able to understand how is it the right way. We do not yet know precisely what specific form will the new world religion. But what do we do now? Like us, regardless of religion, to engage in constructive work of the New Age? In connection with the search for the answer to this question, I thought about the method, which gives Tibetan teacher: live, "as if ...". As if what we want to achieve, was already a reality. Then I imagined how I and others — are able to act, if true, scientifically-correct new world religion has been given to people and worked powerfully against evil and violence, against terrorism and selfishness. To do this, I remembered that we are all very important to Pray some simple universal, common to all the prayers five times a day.